The babies are pretty well grown up now. 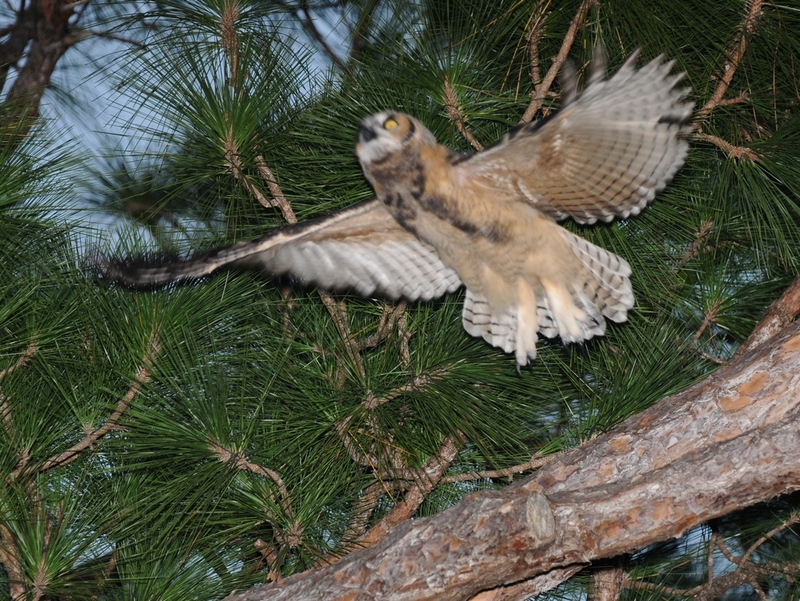 They are flying well and moving about in the trees in the evening. I haven’t seen any indication of them hunting on their own yet but, thats most likely just lack of observation, not activity. 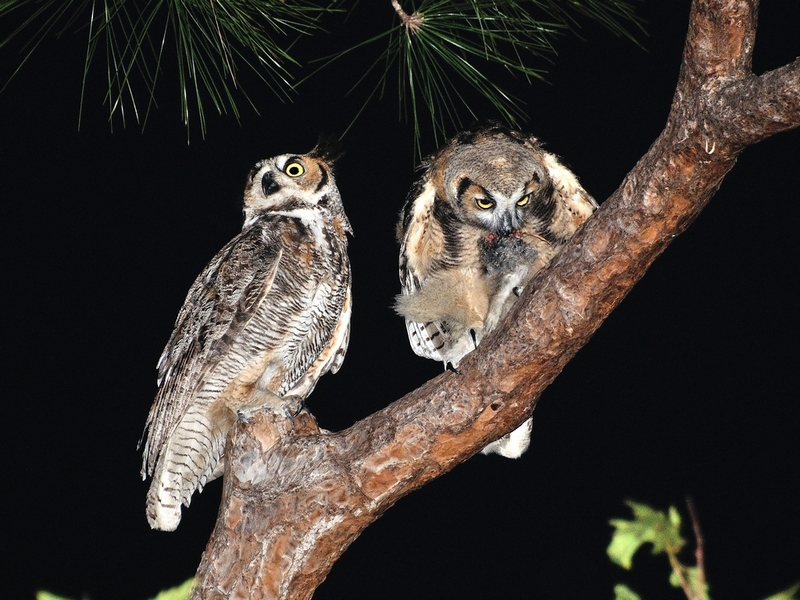 This shot shows the two of them on the same branch. It used to be that they were always close to each other. They aren’t often that close now. I frequently see them in seperate trees and have occasionally seen one drop to the ground as though hunting. These small shots aren’t very good from a photographic perspective but, do show some of the activity taking place in the late evening. You can click on them for a larger view. These were taken using the Nikon D300, Nikkor 70-300mm VR, SB-800 flash with a Better Beamer. 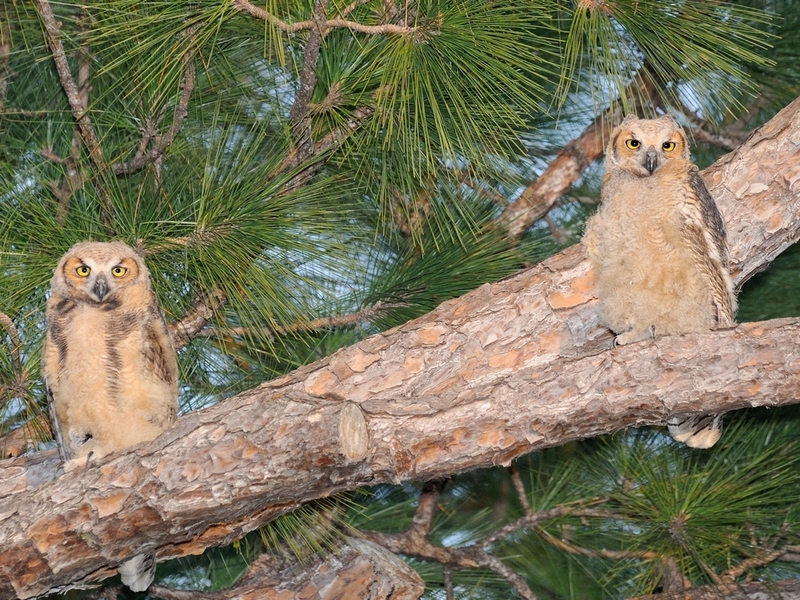 In the top two, I managed to catch one of the owlets at launch and captured an adult on the right. Unfortunately, neither is much to brag about. 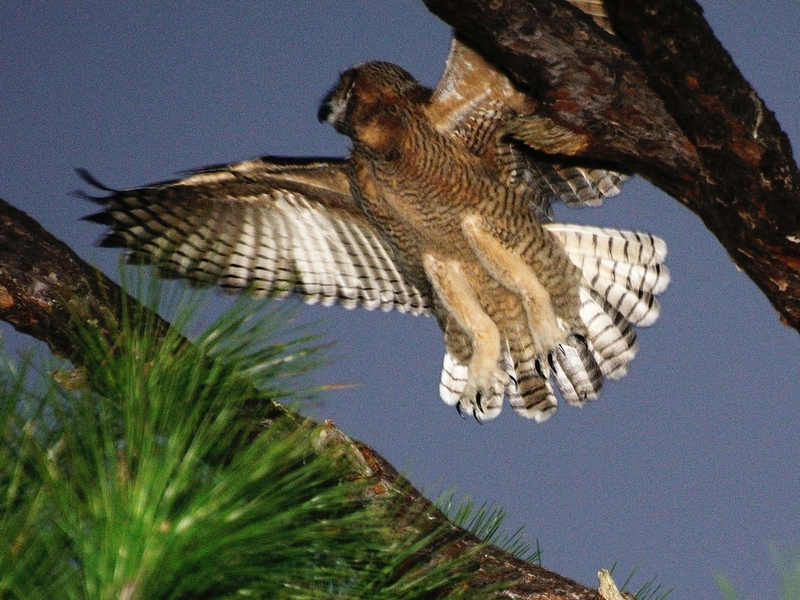 In both cases, I had to crop a lot to get the image but, catching a Great Horned Owl in flight anywhere in the wild is tough. The bottom two show some feeding behaviour. The adult on the left has brought it’s prey to a branch and forces the baby to fly to it. It even makes the young one work for it’s dinner by withholding the food for a while until the young start making aggressive moves to get the food. This may be teaching hunting behavior or, I may just be anthromorphizing their actions. I expect them to be gone in another week or two but, we still have baby Pileated Woodpeckers to look forward to. 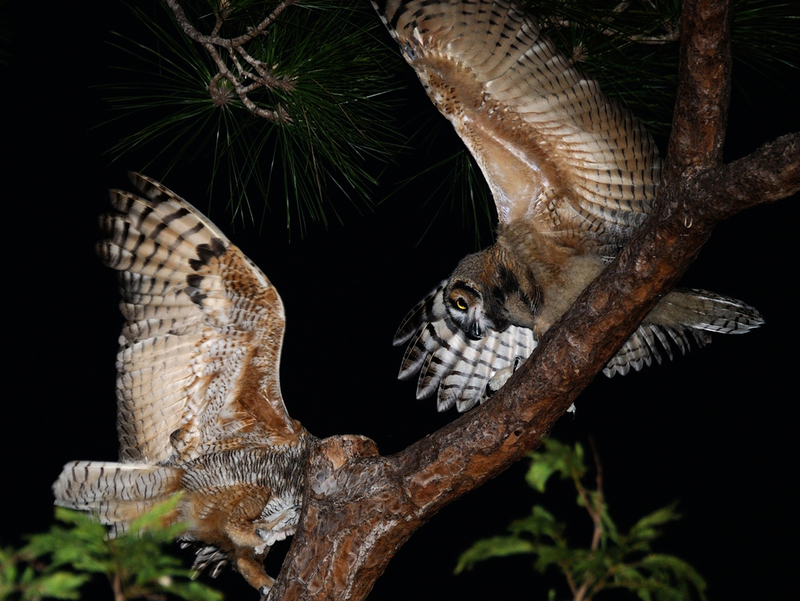 This entry was posted in animal behavior, Bird, Park and tagged 70-300mm VR, Better Beamer, Great Horned Owl, Nikon D300, Photography, Punta Gorda, Punta Gorda History Park, SB-800. Bookmark the permalink.